Will You Lose Your Jewelry in Bankruptcy? Bankruptcy protection is usually a good deal for most indebted consumers. Filing will immediately halt all collection efforts, such as creditor lawsuits and repossessions. Also, you can typically discharge (wipe out) unsecured debts like credit card debts and medical debt entirely. However, bankruptcy does come with some downsides. One concern we hear from consumers is that they are afraid of losing jewelry, such as their wedding ring or family heirloom. In the vast majority of cases, you will not lose this property. In a Chapter 13, the trustee does not sell any of your property to pay creditors. Instead, you create a payment plan that directs a portion of your disposable income each month to your unsecured creditors. At the end of the payment period, remaining debts get wiped. Because nothing is sold in a Chapter 13, you will not lose any jewelry. Keep this in mind if you find that a Chapter 7 might cause you to lose valuable property. Things are different in a Chapter 7. Here, a trustee can sell any non-exempt property and funnel the proceeds to your creditors. The key word is “non-exempt” property. Florida, like all states, has a list of property that is exempted. For example, Florida provides a homestead exemption that lets you protect your home. There is no exemption for jewelry. However, Florida’s constitution gives all people a $1,000 exemption for personal property, which you can use to protect things like your wedding ring, engagement ring, mother’s ring, etc. If you do not use the homestead exemption, Florida statute 222.25 also gives you a $4,000 wildcard exemption, which you can use on any property, including jewelry. In total, some bankruptcy filers will be able to protect thousands of dollars in jewelry. This should be more than enough to protect most people’s jewelry collections unless they have a very large one. In that rare situation, then you should consider filing a Chapter 13 bankruptcy if you do not want to lose any valuables. When you fill out bankruptcy paperwork, you will need to list your jewelry on your schedule. You must also provide a value. Some consumers are tempted to undervalue the amount of their jewelry, so they can either protect it all or free up more of the wildcard exemption to use on something else. However, you should be aware that the bankruptcy trustee can ask that your jewelry be appraised. If the appraisal comes in much higher than your estimate, you could be accused of bankruptcy fraud. For this reason, you should be honest. 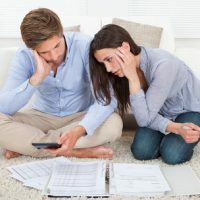 Deciding what to use a wildcard exemption on is a tricky consideration, and you should discuss your options with a bankruptcy attorney in South Florida. At Nowack & Olson, we help consumers every day obtain financial freedom by filing for bankruptcy, and we are anxious to help you as well. To schedule your free, no-obligation consultation, please call us or submit an online message.